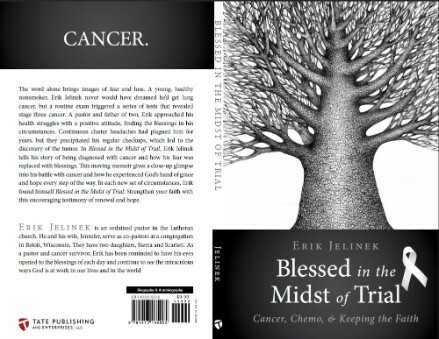 Erik's book, Blessed in the Midst of Trial, is in the pre-release stage. Books are available either by ordering directly from Erik at pastorerik@sbcglobal.net with your address. Cost for the book is $10.00 plus $2.00 shipping.